WOAP’s review of the season so far begins with writers Katie Whyatt, Jason McKeown, Alex Scott and Tim Penfold taking a look at the five things we’ve learned from an October in which just a Halloween trip to Millwall stands between City and an unbeaten month in the league. Katie: When visiting teams have been reluctant to take the game to the Bantams and have been willing to play for a point, City’s lack of alternative creative options has been telling. Shrewsbury nullified danger man Billy Clarke back in August and were adept at totally shutting down play, hounding in packs and stopping the Bantams from setting the tempo. And with City’s main ball players repeatedly picking up injuries, this stasis, this limbo, while not totally crippling, was perpetuated to the point where clear-cut chances were rare and the team struggled to see wins out convincingly. City toiled, but ultimately didn’t have the tools or depth to completely dictate play. When they did, you questioned whether it was sustainable – and injuries exacerbated the issue. In the past few weeks, however, the arrival of Kyel Reid, Tony McMahon’s move to the right and the assertion of Billy Knott and Lee Evans at the heart of the midfield (more on these later) have revitalised the side and brought a variety that has allowed them to fully unleash their reserve of previously latent talent. You always felt this squad was technically stronger than the History Makers, but its play was discordant at home and attacks jarred frequently. It needed harmonising – and we’ve finally reached that stage. Within this, you get the sense that the steeliness that characterised the History Makers squad has finally been inherited by the successors. Nowhere is this change more intensely concentrated than in the squad’s pace-setting utility man, Tony McMahon. At the start of the season, our scepticism was absolutely justified – largely when shoehorned into the deeper midfield role, McMahon looked lost. He lacked Gary Liddle’s vision and positional sense, was repeatedly overrun and struggled when pitted against roaming midfielders. It wasn’t his game. He didn’t have the confidence, the stature, the composure. He was a passenger. This is where moving McMahon to the right has paid dividends. That decision was a masterstroke from Parkinson. A right back by trade but billed as an able utility player, he always had the potential to be a smart signing – but this move has revived McMahon to add greater substance to the reputation. And now I just want him in my posse for all these uni nights out I’m meant to be having – he looks like the kind of guy that’ll always have your back. Racing over to the scene of the crime to put the Lactics in their place after a heavy challenge on James Hanson, McMahon once again injected the spirit that was absent from the core of this squad for a sizeable amount of the season. There’s a fire in his belly that positions him as the verve and vigour to Evans’ precision. Going 1-0 down straight after the restart on Saturday, the test of mettle was huge – but McMahon’s willingness to play hard proved integral in grinding out the draw. He’s a rich man’s Ricky Ravenhill (like, relative to this level, obvs), bringing Ravenhill’s grit and guile, but also a better end product and more developed, refined play in the centre. 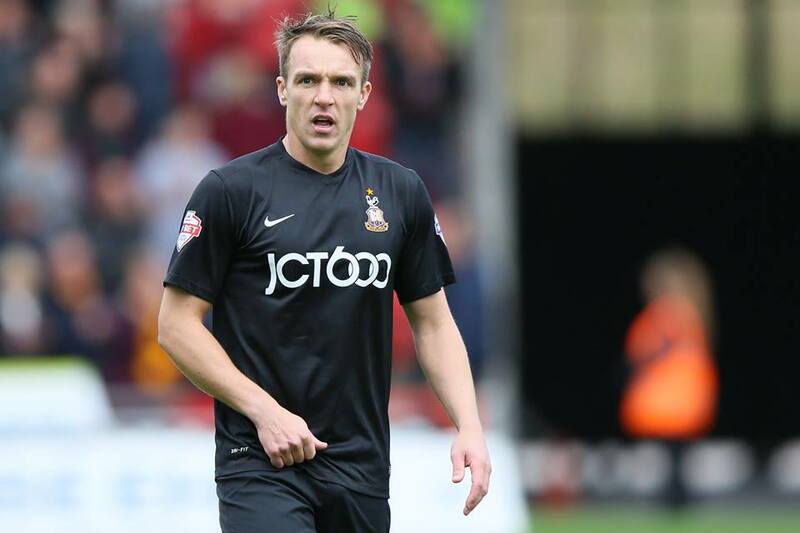 He covers Stephen Darby manfully; he staggers play well, uses possession wisely, is great in his set-piece delivery and can vary the tempo when he chooses. There’s a renewed balance to the right flank now, and, most strikingly, McMahon won’t be bullied. Despite a strong pre-season, McMahon’s year risked flittering into oblivion; yet he has salvaged his campaign admirably. And you can echo such reasoning for the home form. The old adage “win your home games and draw your aways” always felt so ironic when applied to City – now, it doesn’t have to. With the Bantams having finally conquered their domestic demons and restored the mentality that has formed the bedrock of Parkinson’s most successful spells, the sky is the limit – and that’s without the help of City’s cripplingly long injury list. Once Morris, Anderson, Davies et al. return to contention, Parkinson will be left with an envious selection dilemma – and a depth on the bench that will match teams like Wigan. Jason Mckeown remarked on Saturday that Parkinson can only swap like for like – but forward lines structured around the strengths of either Clarke, Hanson, Davies or Cole would differ hugely, making City very difficult to combat. Accusations that Parkinson’s sides “only play one way” miss the point this may be borne out of necessity as much as it is principle; where the City chief has the options available, the shake-ups can, and evidently do, happen. And as much as Parkinson seems to have found his winning formula, the benching of stalwarts Gary Liddle and James Hanson indicates that no one is safe. That flexibility will be vital for sustaining this current run of form. Jason: Phil Parkinson has proved very adept at replacing some of his high-performing History Maker players, but the jury is still much out on the changes at the back. Allowing Andrew Davies to leave in the summer was a highly contentious decision. Whilst the number of injuries that Davies picked up was a disruptive factor for the club, his performances on the pitch were largely exemplary. Crucially, people will remember his positive influence rather than his long spells out. After a dreadful start for summer signing Nathan Clarke, Parkinson has settled on Reece Burke as Davies’ replacement, and in the short-term it is an inspired move. Burke’s ability is on a par with Davies, and the youngster undoubtedly has the potential to enjoy a greater playing career and to remain at a higher level for longer. Parkinson has done really well to get him to West Yorkshire. But the problem for City is Burke’s presence at Valley Parade is temporary. He will be here for another month at least, but sooner or later he will be recalled by West Ham. And, as the East London club attempt to build him up for first team contention, they will probably look to continue his development by sanctioning further loan moves – only at Championship level. If Parkinson can somehow keep Burke for the full season, it would be a massive coup. Any earlier recall would leave a major headache. Yet even if Burke does stay until next May, it won’t solve the long-term challenge of replacing Davies. And for a preview of the issues that might surface further down the road, we need only look at the current goalkeeper situation. In the summer of 2014, Parkinson allowed Jon McLaughlin to leave the club after contract negotiations proved fraught – largely, it must be said, to cut costs at a time his playing budget was reduced. 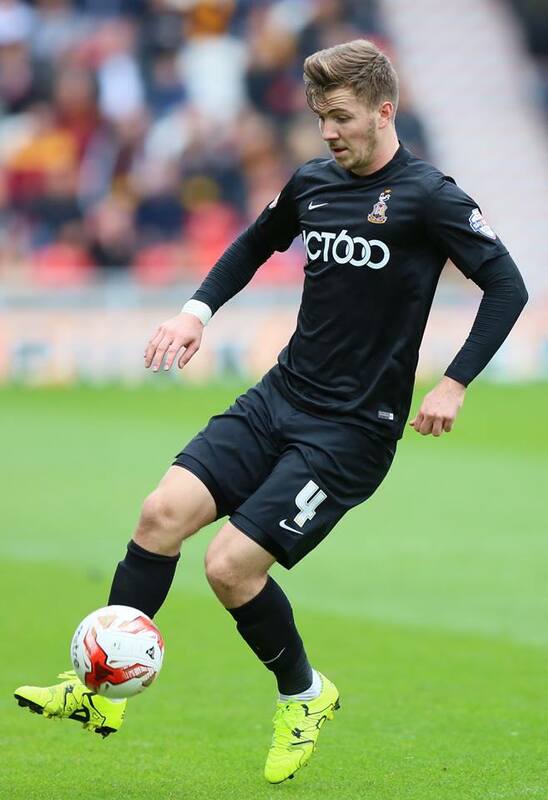 McLaughlin had his critics for sure but had enjoyed a good 2013/14 season at Valley Parade, registering 14 clean sheets. Parkinson successfully replaced McLaughlin via the loan market, with Sunderland stopper Jordan Pickford proving a huge hit. He was undoubtedly an improvement on McLaughlin. But like with Burke, Pickford was playing below his true level and City had no chance of keeping him. Pickford was recalled at short notice by Sunderland, and Ben Williams struggled at the back end of last season. Parkinson apparently tried to re-sign Pickford during the summer, but it was no surprise that he was loaned to a Championship club (Preston) instead. Williams and Brad Jones are currently battling it out for the number one spot. Neither have fully convinced although Williams is by some distance the more impressive of the two, and his form of late has been very strong. He has especially risen to the prospect of competition from Jones, and with him in the sticks 18 points from a possible 24 have been accrued. The blip for City came when Jones was brought in ahead of Williams in September – three winless games and six goals conceded, before the Aussie was dropped – but for now there can be no doubt who deserves to be first choice keeper. It should also be McLaughlin has thrived away from Valley Parade; helping Burton win League Two last season with the fourth-best defensive record. To date, Burton sit joint second in League One and again have the third-best defence in the division. People might argue Parkinson was right to move away from McLaughlin, but it hasn’t been a smooth ride and the manager faces a similarly tricky period with his long-term centre back partner for Rory McArdle. Continuity at the back has been a real feature of Parkinson’s City, and you can see Stephen Darby, Rory McArdle and James Meredith remaining at Valley Parade for years. But who, in the long-term, sits alongside them in the back four, and behind them in goal, has yet to be determined. Finding the right people for these roles will define whether City’s generally excellent defensive record under Parkinson can be maintained. Alex: Phil Parkinson’s decision not to offer defensive standard bearer Andrew Davies a new contract over the summer – or at least one that could match the allure of Ross County – was a divisive one. In a season where many around the club had spoken of a push for promotion, the decision to give away the team’s best player was difficult to fathom, especially when a replacement was not quickly forthcoming. This frustration was compounded over the initial weeks as City spluttered out of the gates, with the new-found defensive fragility hard to avoid. But it wasn’t just the defence that was struggling; the front six didn’t start well either, and with Billy Clarke joining Filipe Morais out injured – later new recruits Josh Morris, Paul Anderson and Steven Davies – on the treatment table, five key components of Parkinson’s front six were out. The wheels may have come off. 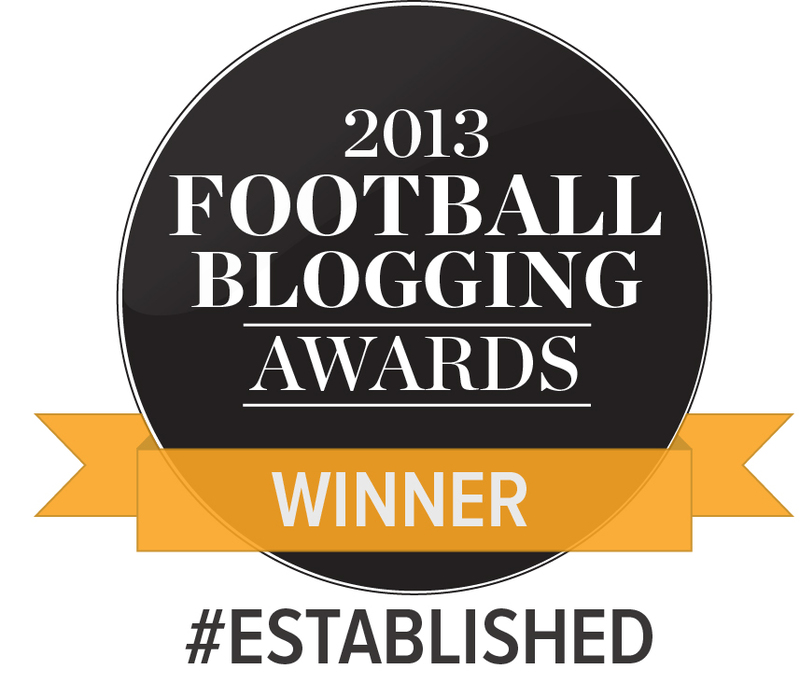 However, counter-intuitively, recent weeks have seen City’s best form of the season. This recent upturn has been led by an improving defence, and a cavalry of Kyel Reid, Lee Evans and Devante Cole. City’s squad last season had a fatal flaw in scoring goals. Despite the strength of the defence, they hit their glass ceiling, and without an increase in funding, it was hard to see how they could kick on to the next level. The manager backed himself to replace Davies cheaply, and reinvesting those funds in the front six. He was also able to keep some money back for a rainy day. The past six weeks have shown the wisdom in that forward planning. If City had kept Davies around, it’s hard to believe they would have been in a position to bring in Reid and Evans to strengthen their midfield, and it’s almost impossible to see how they could have afforded Cole. You could make the argument that if Davies was around, there would be no ills to solve, and maybe there is some truth in that. But without him, they still have the 7th best defence in the division. Last season, with Davies, they were the 7th best defence in the division. Two seasons ago, with Davies, they were the 7th best defence in the division. Compared to this date last season, they have gained more points in fewer games, they are closer to the play offs and further from the relegation zone with a similar, if actually slightly more efficient defence. They are a game in hand at home to 19th from being one point off the play offs. But most important of all, they look dangerous. They look intimidating in the final third for the first time in years. And this is in spite of losing so many forward players. As we move into middle third of the season, City have weathered early storms of injuries and poor form and come out the other side in good shape. The much maligned conservatism in the transfer market is beginning to pay dividends. Alex: Following on from the successful era of ‘Jones and Doyle’, last season began with Billy Knott and Gary Liddle in the default starting midfield trying to fill some large shoes. As the season wore on, after long periods of inconsistency, Billy Knott was mostly withdrawn from away starts, only starting two away games between October and February (both defeats), losing his place to the more combative – and you have to assume, trustworthy – Andy Halliday. For the club’s biggest games of the season he was deployed as a Number 10, supporting Jon Stead, with the additional cover behind him in Liddle and Halliday. His skills on the offensive end were clearly of value for Parkinson; however, he was clearly unwilling to risk him in midfield in games where City were likely to be on the back foot. This season, despite being one of only two central midfielders by trade, after another period of inconsistency to begin the season, Knott, 22, has struggled to break into the starting eleven. However, in the past week, he has made two strong starts in the City midfield, helping drive the team to four key points. Unsurprisingly, these were two home games, continuing the pattern of last year. What is surprising though is that his starts have come at the expense of Gary Liddle. Last season, Liddle started on the bench for City three times – once when returning from injury, and twice at the end of the season, after the game was up. This was merited, given he was one of City’s strongest players, often holding the midfield, and the team together. This season he was left out on opening day for Tony McMahon, and in the past month has been dropped three times for Billy Knott. It is clear from the actions of the manager that loanee Lee Evans is his first choice in central midfield, both home and away. Since his arrival he has missed one game due to international duty, started the following game off the bench, and other than that has started every game. Evans looks tailor made to run a midfield at this level. He has the range and athleticism to get up and down the field, excellent technique to look after the ball, and maybe most importantly, an edge to his game that prevents him getting bullied. These attributes, combined with his excellent set piece delivery – from throw ins and dead balls – must make him difficult to leave out in almost any circumstances. Liddle’s defensive protection has been invaluable over the past year or so, though he has struggled to contribute in the final third as much as he would have liked. Knott, conversely has shown the impact he can have with the ball at his feet, the assist for Devante Cole at Oldham Exhibit A to this point; however, he has been susceptible defensively almost throughout his tenure at City. Together, whilst you think this would make a logical partnership, they have struggled to click; at times overrun away, and unable to press home the advantage at Valley Parade. It may be that we are now witnessing the beginning of a division of labour alongside Evans for Parkinson’s midfield, with Knott taking the advantage in home games, and Liddle slotting in away, allowing Evans to press forward more. Regardless of location, its hard to see City leaving out Evans, he is already that valuable. That he is actually younger than Knott is difficult to believe sometimes. Lee Evans is already the heartbeat of this City team, and come the end of the season, could be the most valuable addition. 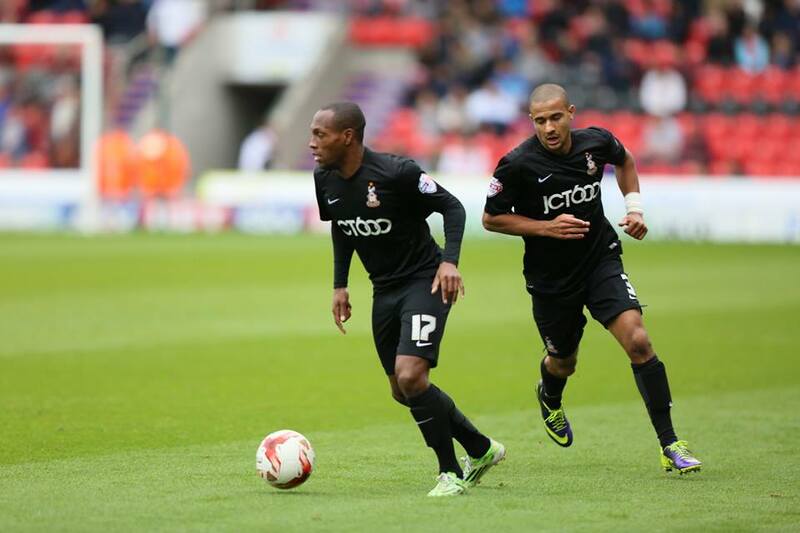 Tim: In the past month we’ve seen something remarkable happen to Bradford City’s strikeforce. 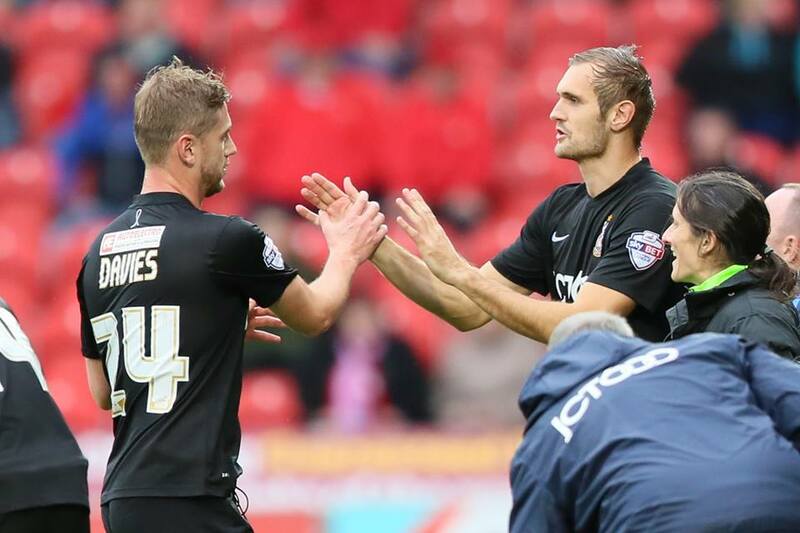 James Hanson has, for the first time under the management of Phil Parkinson, lost his place due to form. Hanson’s struggles have been well-documented, and as a result Stephen Davies has come in and formed a promising pairing with Devante Cole, who in turn has established himself as the main striker in the side. Davies offers something different to Hanson – a more technical, refined target man, but without Hanson’s raw power and aerial threat – but his injury has given Hanson his place back. With Luke James seen as direct competition for Cole in the poacher role, this seems to ensure that Hanson is the undisputed first choice for the next few months, and he seemed back to something close to his best against Wigan. However, there is a chance that Parkinson may throw in a tactical curveball over the next few weeks. Parkinson has always liked to play with a target man – Chris Iwelumo at Colchester, Paul Benson at Charlton, Hanson, Stead and Davies for City. However, if Hanson’s form slumps again he has another option, which would mean a major tactical shift – pairing Billy Clarke with Devante Cole. This would mean that Cole would have to take on a more physical role, holding the ball up more, but he’s shown some signs of being capable of this over the last couple of games. In turn, Clarke’s technique and ability to supply through balls may suit Cole more than Hanson’s flick-ons. 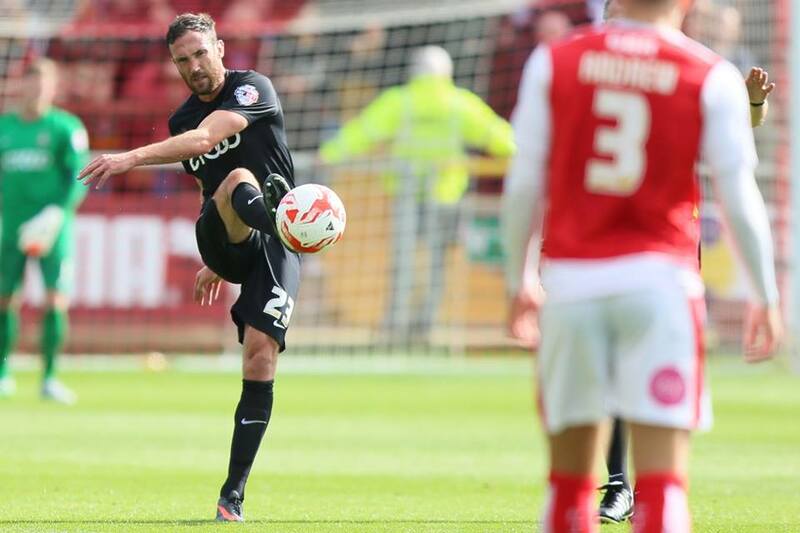 It is a gamble however – would the defence be able to cope without the easy out ball that Hanson offers? Or would they try it anyway and watch as the ball comes straight back at them, having failed to stick up front? James Hanson is Phil Parkinson’s plan A, but if this doesn’t work, will Parkinson try such a radically different plan B? With special thanks to the very kind Thomas Gadd for allowing us to use his excellent photos. Please visit Thomas Gadd’s website for more details. I can confirm that I am not battling it out with Ben Williams for a goal keeper slot. Brad is though. Excellently written articles and there are some very valid points raised. I can’t pretend to agree about Evans based on what I’ve witnessed so far and on Saturday he had a stinker! But I’m happy to take one for tte team and be proved wrong if he can hit form! There is definitely enough talent and ability in the current squad, particularly as the walking wounded return to the fold, to contend promotion. The big question remains, will PP be able to do what he has proven so good at and get them to gel, so they’re punching above their weight once more? I’m betting he can. Any takers? I have to disagree about the comment about our team looking intimidating in the final third of the pitch. I think that we have lacked creativity and pace so far this season although I appreciate the injuries that we have at the moment. In my humble opinion McMahon should be playing in central midfield on current form with Mottley-Henry playing as a right winger. Hanson needs more crosses into the box for him to attack. I feel that he (Hanson) has received unjustified criticism this season as he’s had limited service. I am a big supporter of Phil Parkinson and I am not criticising his management, however I have not been excited by our performances so far this season.